The levels of obesity around the planet today are on the rise. The United States leads the way with more than 30 percent of the population considered obese. Lest other nations laugh, quite a few are following very closely behind the U.S. This problem is not one that people can ignore, and it is not something that is going to go away on its own. Fighting obesity is entirely possible, but it seems that it is going to be a private battle waged in the gyms and refrigerators of individual soldiers determined to combat their weight problems. To fight the enemy that is obesity, one must first understand the enemy. What is it that is causing this problem? No magic spell caused the people of the world suddenly to put on weight. This issue that was a long time in the making, and there are several major factors that can account for the majority of the problems. First, people today have an insatiable need for instant gratification. People want to have cheap and easy food, and they do not want to go through the trouble of making the food on their own. Instead of buying fresh vegetables and lean meat, the frozen food aisle at the grocery store is the first destination. The grocery carts are soon full of processed food, snacks, soft drinks and other unhealthy items. These comfort food items are easy to indulge in, and that is a huge problem. People tend to spend more at the fast food restaurants as well. They want that convenience, and with fast food, they don't even have to start up their stove or push a button on the microwave. These "easy" food choices are extremely unhealthy. The calorie count in some of the fast food meals is more than most people should have in an entire day! Second, people are spending more and more time in increasingly sedentary positions. The cubicle and office workers of the world who spend more time sitting than any human in the past are gaining weight. They aren't spending any time outside of work at the gym either. Coupled with the overeating of fast and processed food and it becomes a recipe for obesity. 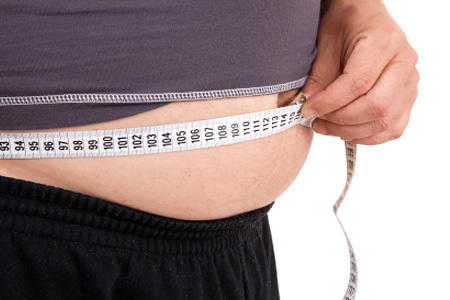 You will be able to enlist two very powerful allies in your personal war on obesity. You might not always like these allies, but they are your best option for winning the war. They are diet and exercise, a dynamic duo with a proven record against fat. Change the foods that you buy when you go to the grocery store. Buy those fresh vegetables lean meat. Eat fruit for dessert instead of cake. You can even skip the dessert entirely. A change in food is going to make you feel much better about yourself. The addition of exercise is going to make you strong, alert, and it can help increase your confidence levels. It really is as simple as adding diet and exercise if you want to make a positive change in your life.